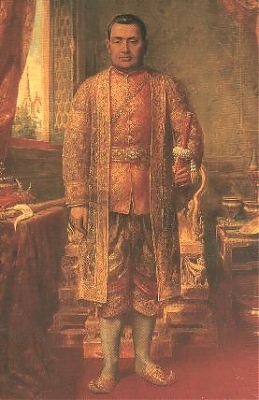 Crop of portrait of King Nangklao which is displayed in the Chakri Mahaprasad Hall at the Grand Palace, Bangkok. Portrait created during the reign of King Chulalongkorn, meaning it was created no later than 1910 (identity of the creator is unknown to the uploader). ผู้สร้างสรรค์ Originally uploaded by Paul_012 at en.wikipedia.